A new competition between longtime rivals Ole Miss and Mississippi State is kicking off this year. Ole Miss announced an Esports Egg Bowl between the schools that will start on Oct. 13. Esports is an organized, electronic video game competition. Teams of competitive gamers will get together and face each other in various games such as League of Legends, Call of Duty, Rainbow Six Siege and Super Smash Bros. Fans can stream these events online or watch in person. Esports’ popularity is growing rapidly worldwide. For the 2014 League of Legends World Championship in Seoul, South Korea, there were more than 40,000 in-person spectators and more than 27 million online viewers. That is more than the viewership of the 2018 College Football Playoff National Championship game. Ole Miss officials were excited to announce this new competition against Mississippi State to bring attention to the Esports teams. Ole Miss Provost and Executive Vice Chancellor Noel E. Wilkin shared how Ole Miss wants to focus attention on not just the traditional sports competitions that are played in stadiums but also the ones played online. “It is about embracing the future, the future of online gaming, the future of sports and the future of understanding how the (internet) brings society together, and the real beneficiaries are our students,” Wilkin said. Cray Pennison, the Ole Miss Esports team captain, said he is proud to have brought this rivalry event to Ole Miss. The goal is not only to create a new competition between the schools but also to bring attention and support to Esports, as a whole. Esports in the U.S. are prevalent on the West Coast right now, and Pennison said bringing Esports to the SEC is something that could change the game of Esports. The hope is to make this a yearly event that switches competition sites between the schools each year. Team members are hoping students will be as involved and excited about this competition as they are about the football games. The Esports club team was founded at Ole Miss in January 2017. The creation of a major event like this for a new club is a tribute to how quickly Esports is growing. Wilkin said Ole Miss wanted to show its support for the Esports program by helping launch this competition. 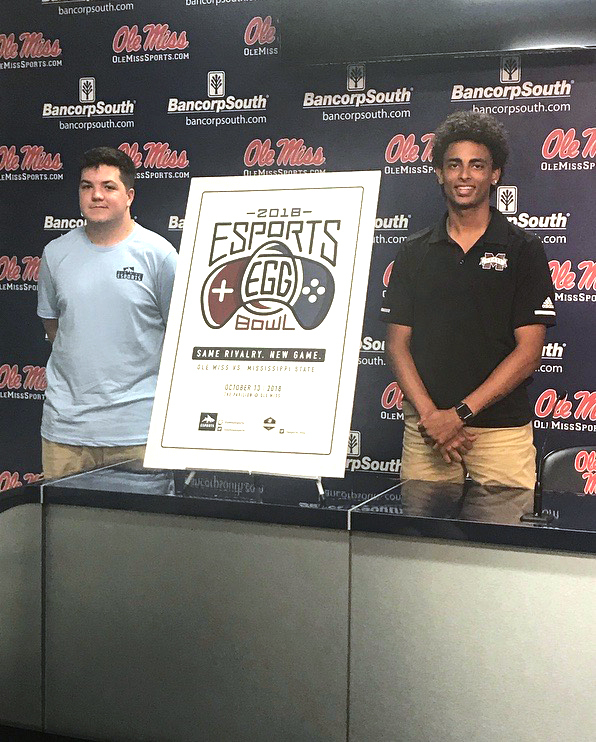 The Esports Egg Bowl will take place on Oct. 13 at The Pavillion. The event is free of charge, and doors will open to fans at 10 a.m., with competition starting at noon. A more detailed schedule will be released soon.